A Summer’s day, people enjoying the sunshine, the seagulls thankfully not mobbing you for the ice cream in your hand, and then stumbling across this, cool, classic styling in a small package, parked up in a picturesque location. Personally I’m not a huge fan of Vespa’s, not a scooter person me, but you’ve got to appreciate the Italian’s making a thing of beauty such as this. 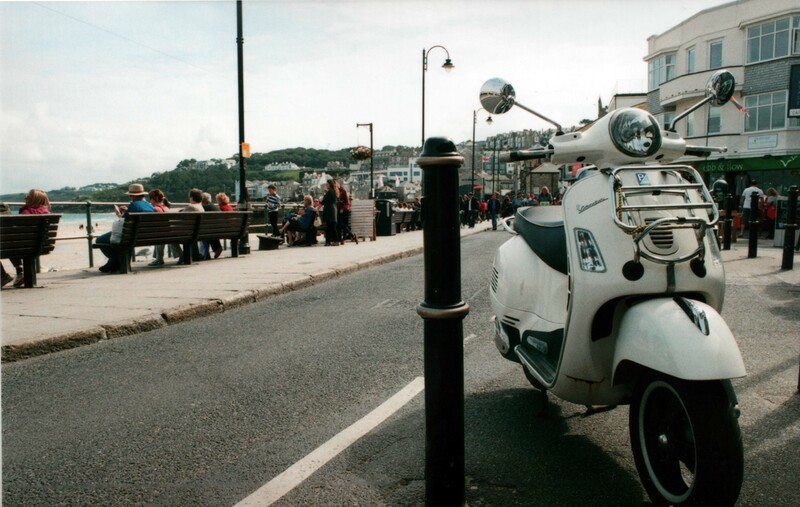 Taken on my Nikon FM with 28mm lens on Agfa Vista Plus 200 film, f16 1/125th sec.